The listed family company has two main activities of approximately the same size: delivering coffee to businesses and the production of plastic packaging. Thanks to healthy growth and target acquisitions, Miko currently has 909 employees. The company operates in 14 countries and exports worldwide. To support its growth, Miko is committed to efficiency. For example by setting up a transparent, central IT environment that is permanently available in the company’s 24 branches, from Europe to Australia. Miko went looking for a solution within the SAP family and found the relatively new SAP HANA Live. Intrigued by the possibilities of the software, Herman Braeken decided to migrate the fifty most frequently used reports of the Miko sales team and the underlying data model to HANA Live. ‘HANA Live has a comprehensive reporting tool with more than a thousand standard reports,’ says Braeken. ‘We made the assumption that these reports and the capabilities of HANA Live, supplemented by our own fifty most frequently used queries, would be sufficient for our needs. SAP felt the same way. Tests proved the reality to be different. HANA Live proved to be the right technology for part of the task. Simple reports did not cause any problems, but HANA Live was less well suited to more complex logics or a report with enriched master data and conversions. The team of Herman Braeken is also busy exploring the new possibilities. ‘We use Lumira for graphics and are currently experimenting with geocharts. It’s still all very new. Postcodes of Belgian towns aren’t yet available, for example. But the possibilities look fantastic. The sky’s the limit,’ says Herman Braeken. The history of Miko began in 1801 when Leonardus Michielsen established a coffee roasting and colonial goods trading company. 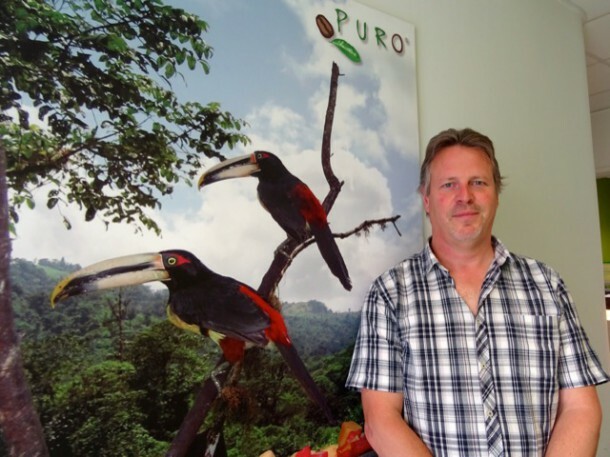 His son Jan moved the business from Breda to Turnhout. The name Miko, derived from Michielsen Koffie, was born. During the Brussels World’s Fair in 1958 Miko introduced its famous filter. The designer who became world famous with Coca-Cola originally designed the Miko logo. From the 1970s Miko diversified, focusing on the production of plastic packaging in addition to its coffee activity. In 2014 Miko traded around 4,500 tonnes of coffee and 20,000 tonnes of plastic, achieving a turnover of EUR 159 million.